Rustic Wood Flooring for Budget-Conscious Projects - Aged Woods, Inc.
Uniquely pre-finished, character hickory plank flooring. The finish is a two part, colored Woca oil with an overall “Ironstone” background and wire brush-accentuated ivory-colored wood grain. 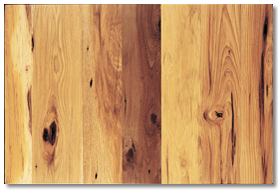 Hickory wears extremely well under normal use and is suitable for residential or light commercial use. 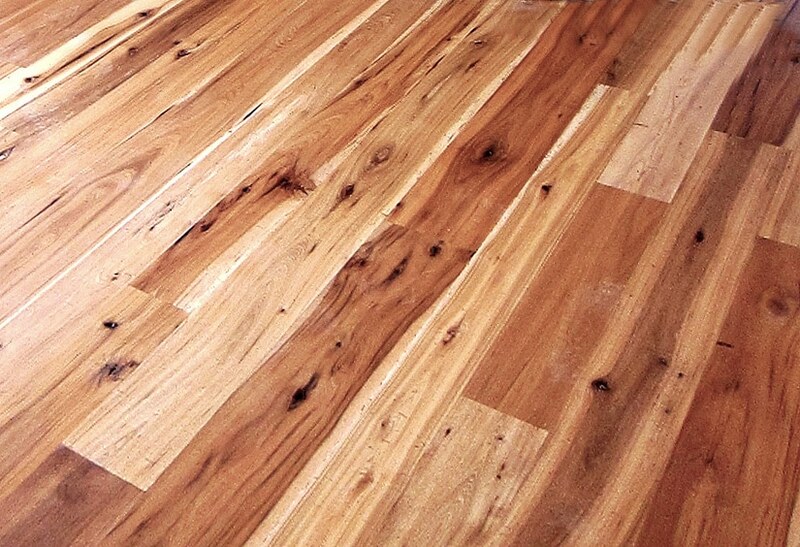 Pre-finished, character hickory plank flooring. The finish is a warm, earth-toned brown UV-catalyzed urethane. 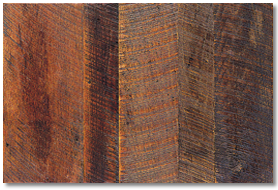 Hickory wears extremely well under normal use and is suitable for residential or light commercial use. 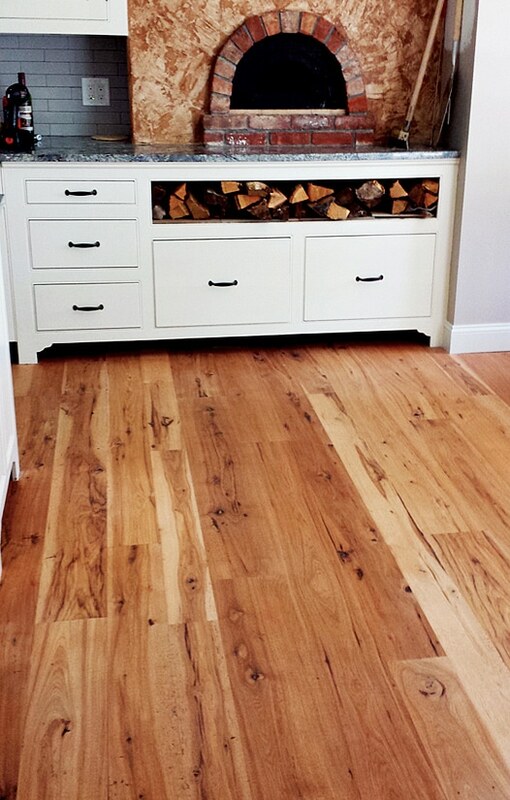 Bunkhouse® Oak – One of our signature floors! 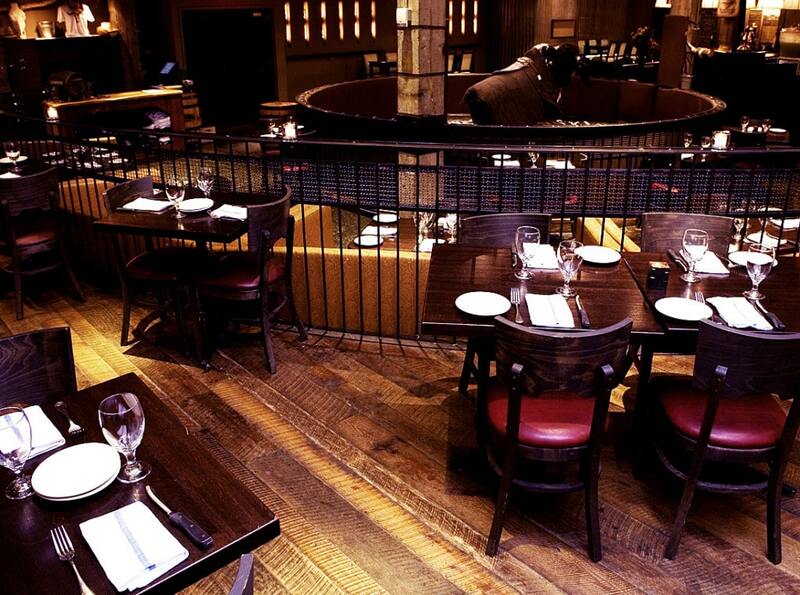 A blend of reclaimed weathered, circular-sawn oak barn wood native to our region. 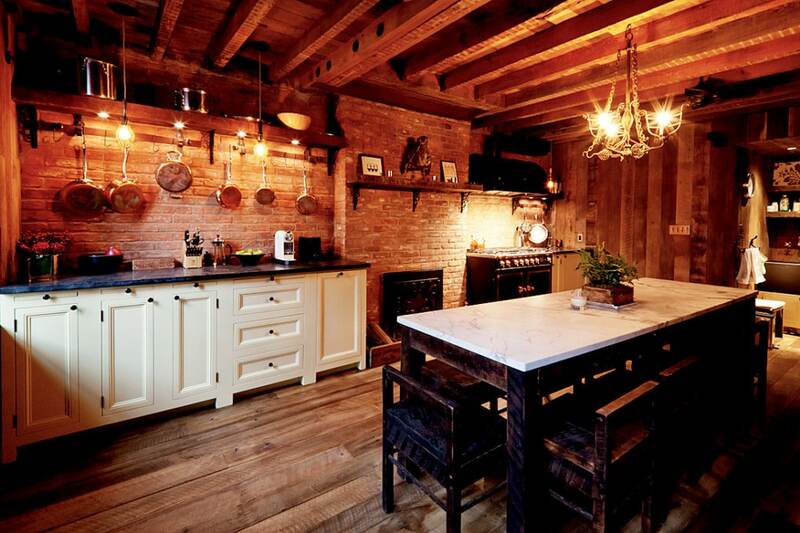 our Bunkhouse® Oak floors are dramatically rustic. They feature a deep, dark patina and the original old-time circular sawcut textured face. 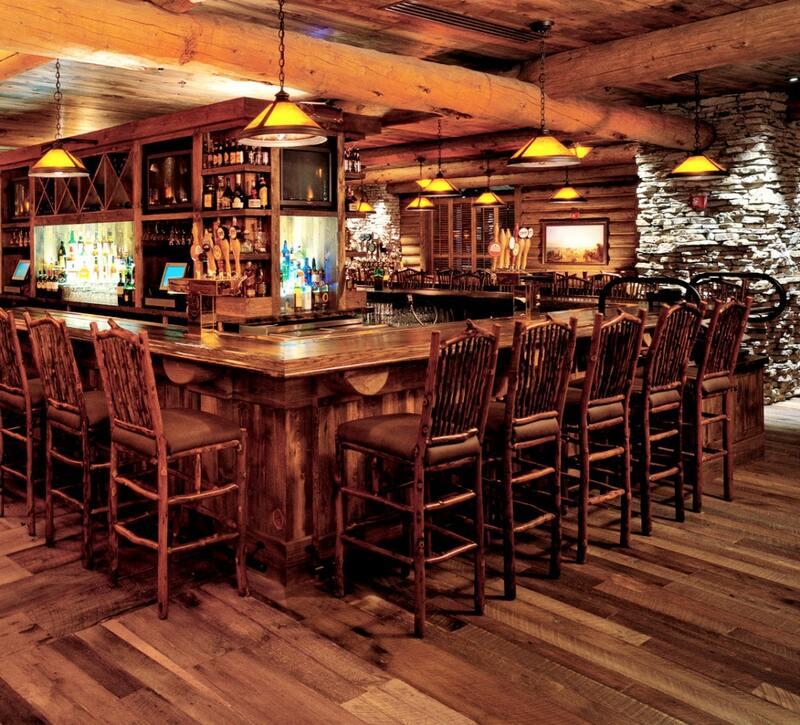 This reclaimed wood flooring is perfect for “mountain” homes and lodges, or any space designed with a similar decor. Our Antique Hickory wood flooring is remilled from weathered barn wood and ranges in color from light creme to medium brown with occasional and distinctive dark brown streaks and strong graining. Being nearly 50% harder than oak, it is a very durable alternative to oak and produces a floor that has medium character and minimum patina. This is the hardest reclaimed wood flooring that we sell . . and one of the rarest. Available In SOLID & ENGINEERED !